Why I am even concerned, I do not really know. But to just look at news footages of EDSA gridlocked in traffic with vehicles moving along at a snail’s pace was absolutely painful. Frankly, who would want to live in the Big City? 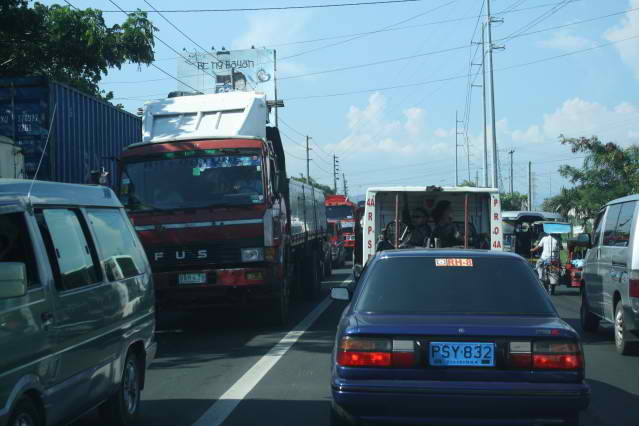 For the benefit of those who do not monitor the news, the MMDA is currently strictly implementing the yellow lane law. That buses ought to stay inside the lane is an old law, Atty. Francis Tolentino of the MMDA was quick to fend off questions from TV Patrol anchor Noli de Castro. However, he also admitted that the MMDA does not have enough manpower resources to fully implement the law along the entirety of EDSA. That is why bus drivers stay inside the lane when there are MMDA personnel; and swerve in and out of it when there are none. But this in itself was not really the source of the traffic problem. Rather, because buses invariably take an eternity to get to the bus stops, it goes without saying that each bus makes the most of the time there. The longer each bus stays at the stop, the longer the queue builds up behind it. The problem was exacerbated by the dearth of passengers waiting at each stop. Many regulars, probably scared off by the equally horrendous scenes yesterday, opted to go by MRT. The queues waiting to climb up the MRT stations were equally frightening; but at this point this was really choosing between the devil and the deep blue sea. To illustrate, one reporter took a ride from North EDSA to somewhere in Makati just to be able to experience the traffic and be able to report on it. The trip’s distance, he reported, was a mere 15 kilometres. The entire trip took him all of two hours. To put things in perspective, Manila to Lipa these days averages just about an hour or so. That 15 kilometre strip will be similar to a Lipa to San Jose trip. Two hours? You have gotta be kidding me! 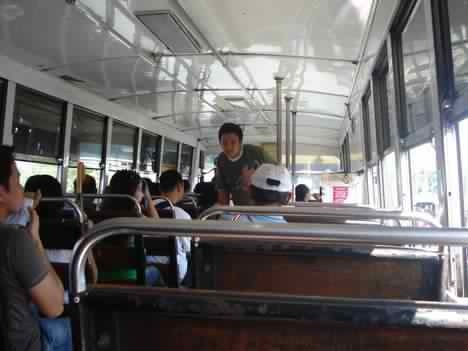 The reporter said that the bus that he was on was going along at a godawful 10kph. My word! I have seen hearses travelling faster! One passenger bitterly summed up what everyone must have been thinking, “Eh para sa’n pa ‘yang kalye na ‘yan? Hindî naman ginawâ ‘yan para lang sa private vehicles!" That was probably not entirely correct; and bus lanes are not an MMDA invention. However, the spirit of every law ought to be that it must be of service to the greater good. “Eh papa’no ‘yung katulad kong pumapasok sa opisina?” The man resignedly concluded. Well, yes, I can imagine the disruption to people’s lives; albeit the man’s insinuation that private vehicle owners were more the beneficiaries of the yellow lane implementation was probably off the mark. I mean, from what the videos showed, it sure looked like everyone was stuck in traffic! It is, perhaps, a tad difficult to be overly critical of the MMDA because it is trying to unclog a problem that it only inherited. The leadership also means well; and indeed the rash of accidents on EDSA of late is totally unacceptable. However... Why attempt to implement a law when you cannot consistently implement it because you do not have enough enforcers? Law enforcement is, after all, about consistency! Then again, has anyone bothered to discern if the implementation of the yellow lane will be of service to the greater good? If the answer is yes, then why the horrendous scenes that seem to endlessly frustrate the public that it aims to serve? 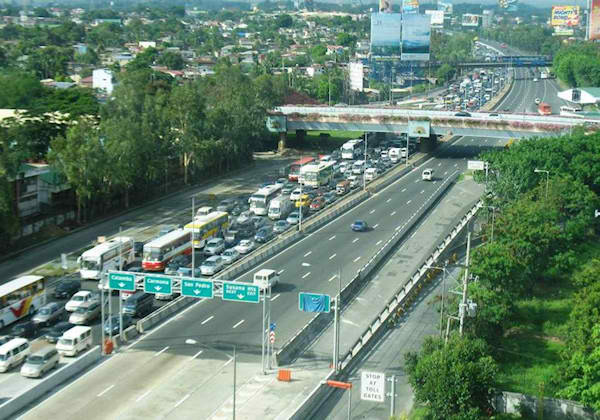 Tolentino explained that the implementation is but part of a series of moves by the MMDA to solve Metro Manila’s traffic problems. This is good to know; but perhaps it will do the MMDA no harm in baring this plan to the public and making sure that the public understands its role in it. Tolentino also said that he is due to meet the operators tomorrow to seek their views on how to fine-tune the implementation. Perhaps this could be done before rather than after what seems to be a systems fail? Truth be told, the EDSA traffic bedlam is less the MMDA’s problem and more national government’s. EDSA is just the problem’s convergence point. 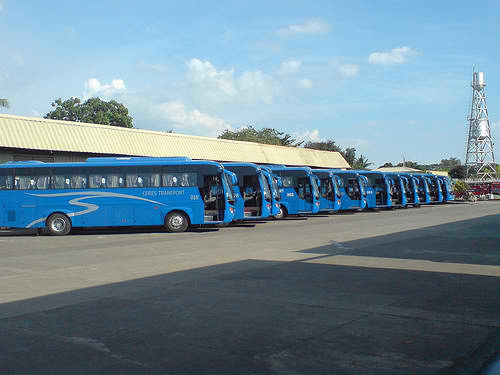 I know that we are a Third World country, but had somebody started fast, comfortable and affordable rail-based transits into and around Metro Manila years ago and regulated the number of franchises serving the city – not to mention even private vehicle ownership, as they do in some countries – then the problem will not be as bad as it currently is. But what do I really care? I live in Lipa where I hope and pray that the city fathers are watching and looking ahead to the future. I will be damned if I go to San Jose if the trip will take two bleeding hours!